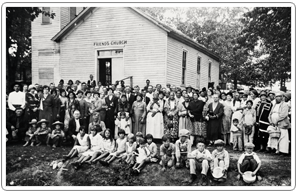 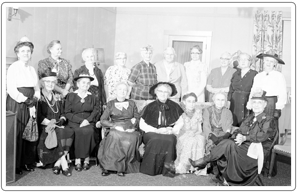 Can you identify the people in the photos from the collection of the Ottawa County Historical Society? 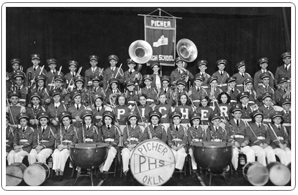 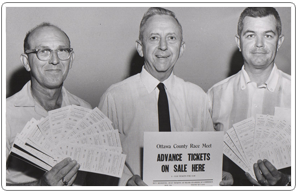 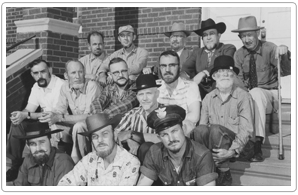 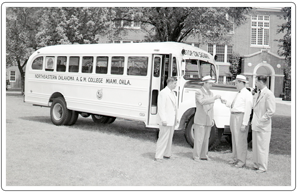 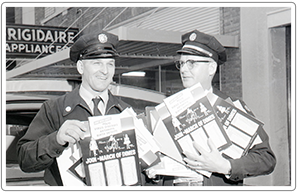 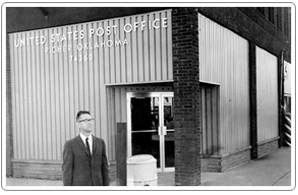 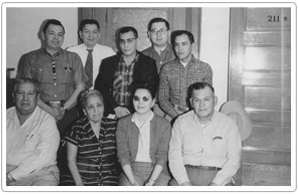 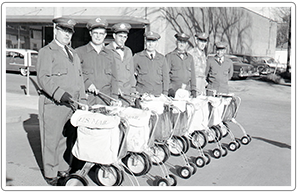 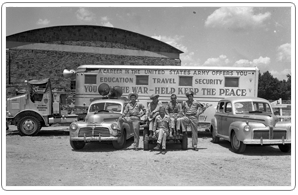 The OCHS maintains thousands of historical photos and seeks help with the identification of the people in them. 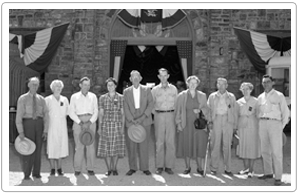 Volunteers and visitors may look at photos at the Dobson Museum during hours of operations. 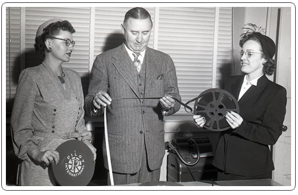 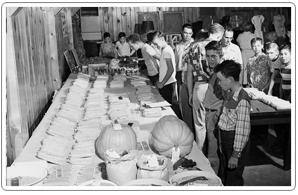 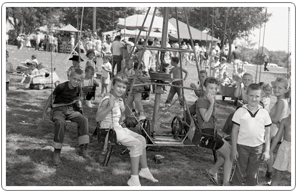 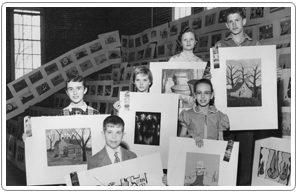 All photographs posted on this site are the property of the Ottawa County Historical Society and Dobson Museum and may not be published, sold, reproduced, distributed, or otherwise commercially exploited in any manner. 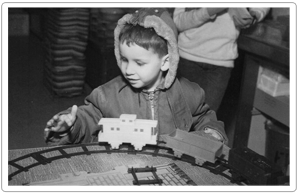 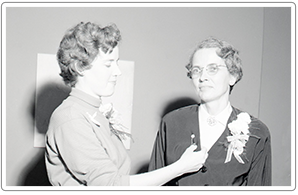 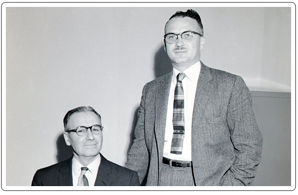 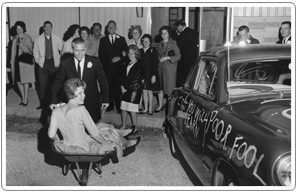 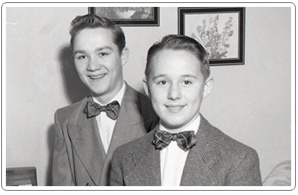 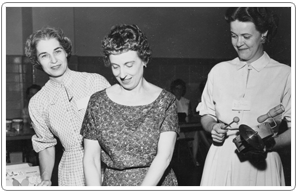 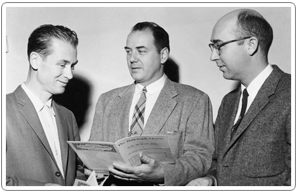 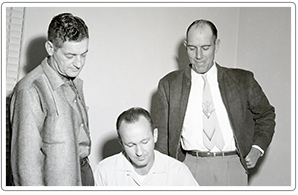 Answer: Identified by Gary Reynolds and Maggie Williamson as Roy Arnold and J.R. Huxall during March of Dimes in January 1959. 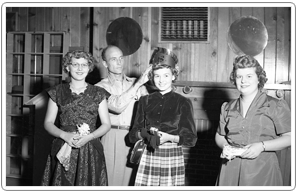 Answer: Identified by Kathryn Frazee, Vickie Turner, and Patty Rose as Larry Roberts and Mary Jane Edwards. 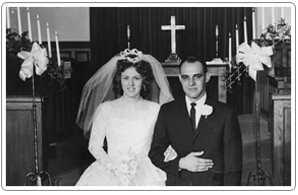 Nancy Johnston identified the photo as Larry Roberts and Linda Wright. 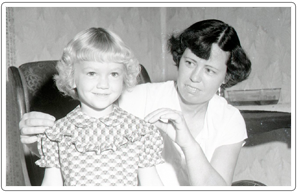 Answer: Identifed by Carleen Goff and Charlene Winton as Dr. J.O. 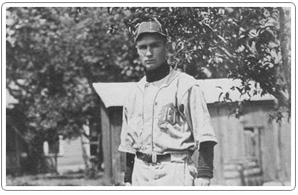 Bradsahw of Welch. 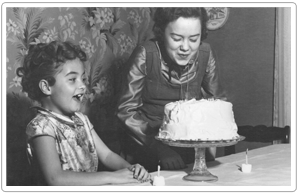 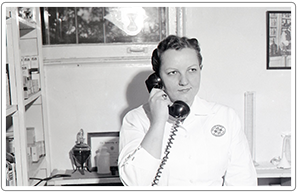 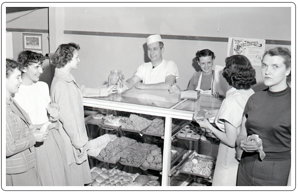 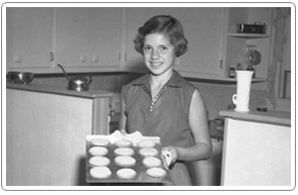 Answer: Identified by Sherry Hiebert as Dave's Bakery owned by Dave and Oleta Hiebert. 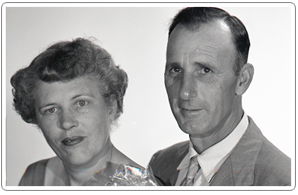 Answer: Identified by Sherry Heibert and Sherra Rendel as Youvette Kreeger and Renick Kreeger. 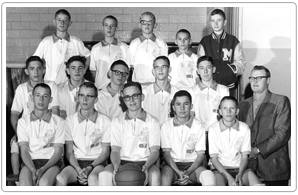 Answer:Identified by Marilyn Horner. 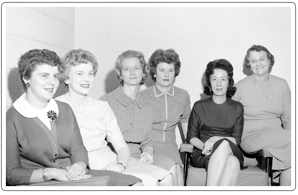 1st sitting left to right, Martena Whitcomb and Bess Lampson being 2nd from right. 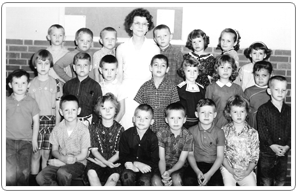 3rd from the left on the back row as be Miranda Goad. 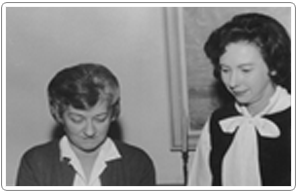 Answer:Identified by Susan Winter and Debbie Graves with C.V. Ayres. 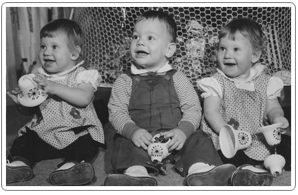 Answer: Identified by Carolyn Watterson, Tammy Willcox, and Nancy English. 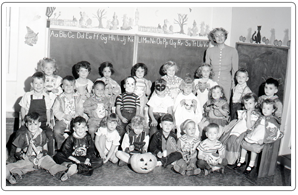 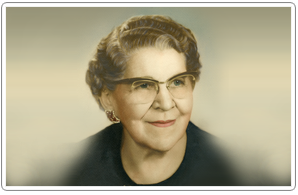 Answer: Identifed by Carolyn Leach, Edith Williams, Tom Bond, and Corbie Bond as Nelle Rycroft, longtime Ottawa County teacher who taught in the Oseuma and Hudson Creek schools before being a longtime member of the Fairland School Faculty. 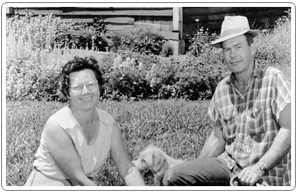 Answer: Identified by Trudy Olson as Frank and Jewel Sellars. 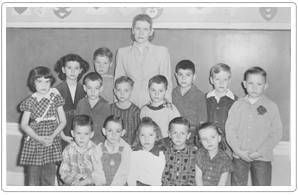 Answer: Identified by Susie Barnes as Opal Cobb's Kindergarten Class. 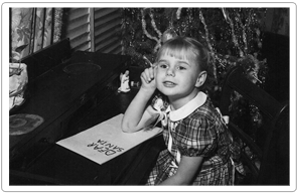 Answer: Identified by Ruth Tyler and Kathy Hayes as Ruth (Hayes) Tyler and Juanita (Boyd) Hayes. 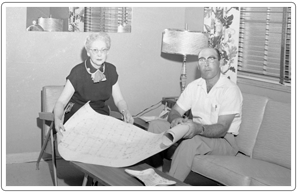 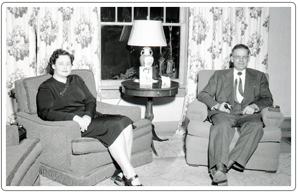 Answer: Identified by Shirley Shelton as Sug and Letha Honeycutt at their residence in Afton. 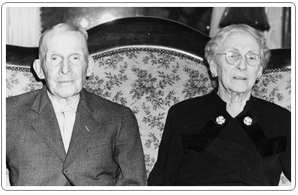 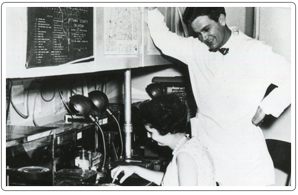 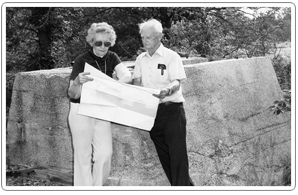 Answer: Identified as George Stokes and Sue Ella Stokes by Gary Reynolds, Larry Perkins, and George Draeger. 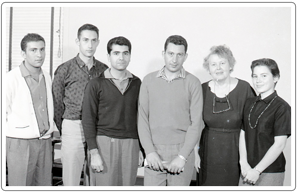 Answer: Identified by Peggy Schnakenberg. 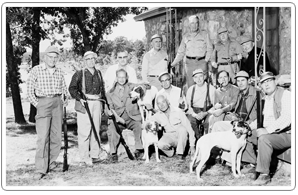 Mutt Mantle, Mickey Mantle, Ray Mantle, Barbara Mantle, Roy Mantle, and Cliff Mapes. 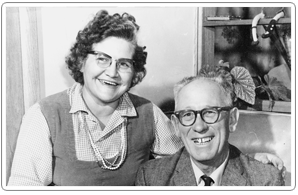 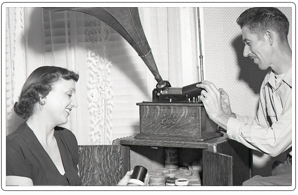 Answer:Identified by Jean Craig Osborn as Verdie Henson and Frances Henson. 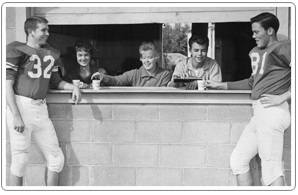 Answer: Left to Right: Eddie Simpson, Irene Jones, Fayrene Morgan, Earl Gonce. 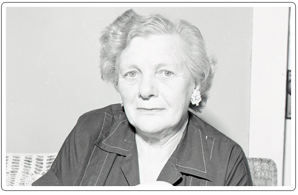 Identified by Betty Alsbury and Bronwyn Morgan. 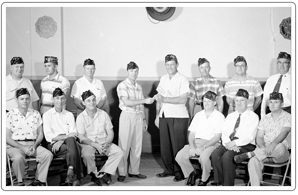 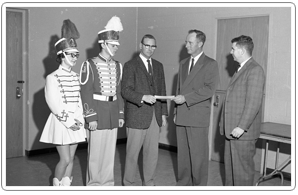 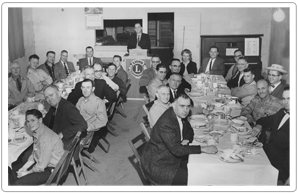 Answer:Fairland Band receives funds for new band uniforms from Fairland Lions Club, March 1960. 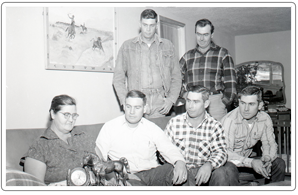 L to R: Judy Jean Fronterhause, Roy Gainer, Al Hampton, Voris Taylor, Roy Rousey. 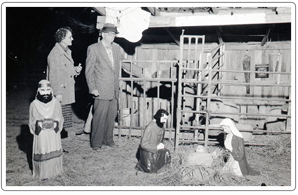 Identifed by Charles Babst, Tom Bond, and Carol Ann Goodwin. 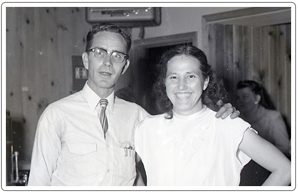 Answer:Nelle Nesbitt, identified by Sue Edwards. 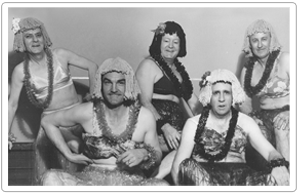 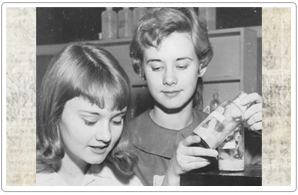 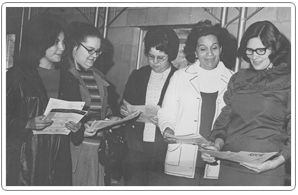 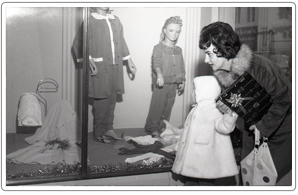 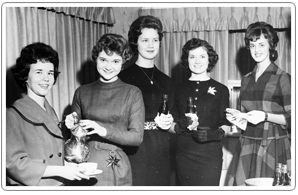 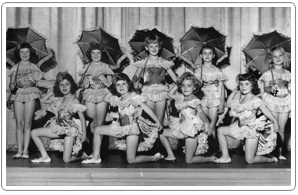 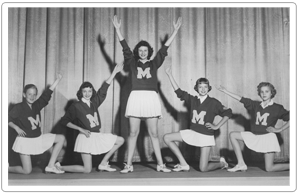 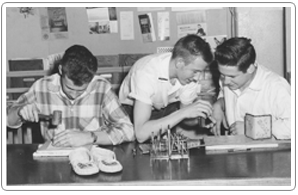 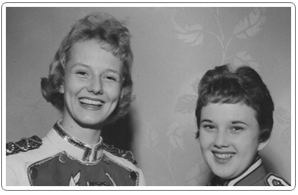 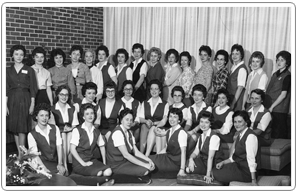 Answer: Miami Jaycee Jayne's from the 1960s identified by Jane Osborn and Nancy Gee. 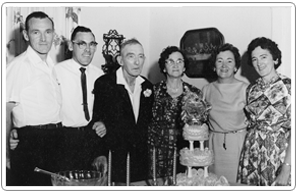 Answer:Left to Right: Marion Rucker, Bobby Joe Rucker, Bob Rucker, Easter Ethel Rucker, Ruby (Rucker) King, Louise (Rucker) Bridgett identified by Ernie Hopper. 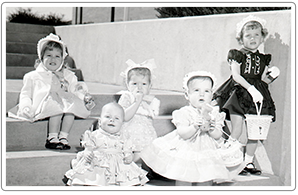 Answer:Marquiese Lasley and Margueritte Lasley, twin sisters, in a Millner-Berkey Fashion Show at Coleman Theatre. 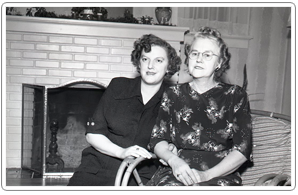 Identified by Frances Webb and Margueritte (Lasley) Walker. 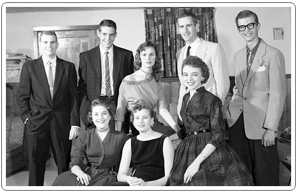 Answer:Second Row Far Left is Charlie Ellis, Back Row Second From Left is Charlie Hirsch identified by Jim Ellis, Larry Roberts, and Charlene Lingo. 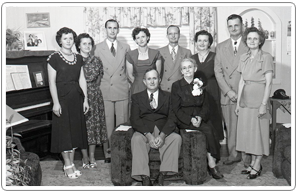 Juanita Davis identified her mother-in-law in the photo, Evaline Davis, back row third from left. 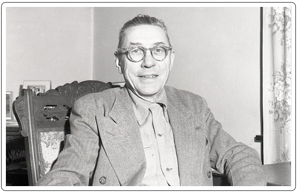 Answer:Mr. R.C. 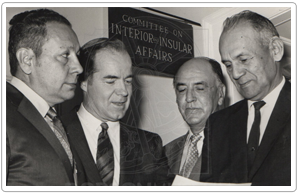 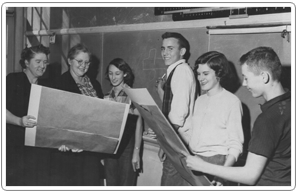 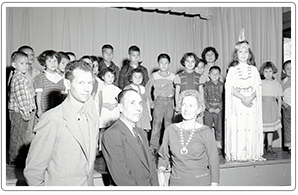 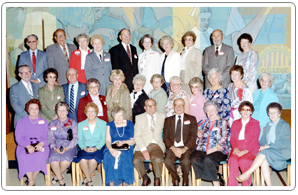 Nichols, longtime Superintendent of Miami Public Schools (in the middle) identified by Jean (Nichols) Craig Osborn. 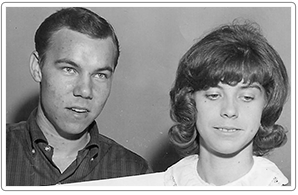 On the left Mytle Smith and on the right Lavaga Watkins, identified Lynda Roten. 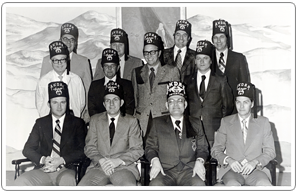 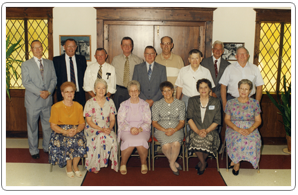 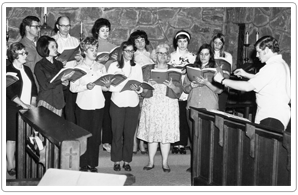 Answer: Front Row: (L to R) John Burford, Sherry Walker, Carol Cowles, Kartina White, Doug Burtram Back Row: (L to R) Robert Blizzard, Darell Wilson, John Carter, and Phillip Ulmer. 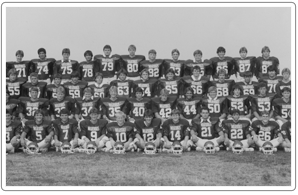 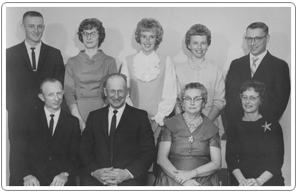 Identified by George Botts, Gary Reynolds, Sheri and Dave Hiebert, and Betty Wills. 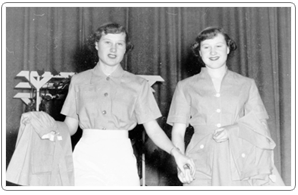 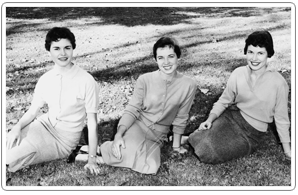 Answer:Left to Right: Melba Lawson, Jan Sherman,Elizabeth Johnson. 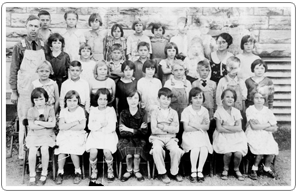 Identified by Billy Mack Harrison, Barbara Fisher, and Carol Blevins. 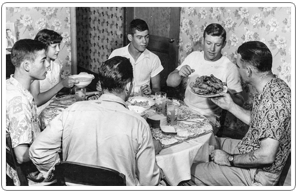 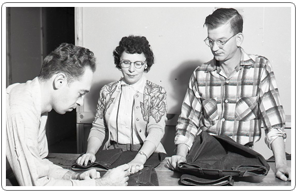 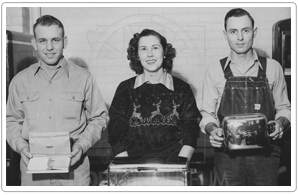 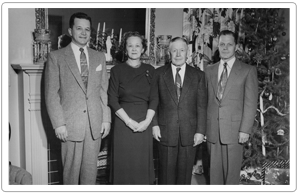 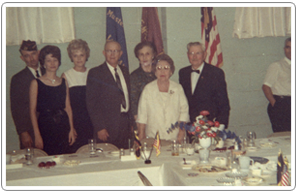 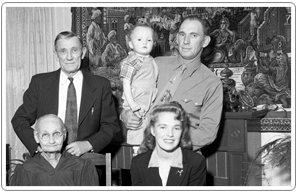 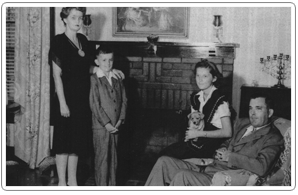 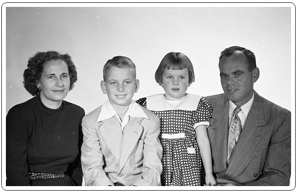 Answer:Left to Right: Bill Dunbar, Gerrie (Longenbaugh) Dunbar, unknown, Mildred (Evans) Longenbaugh, and Charles Longenbaugh. 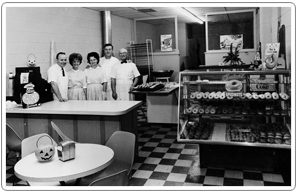 They ran a donut shop on Goodrich Blvd. 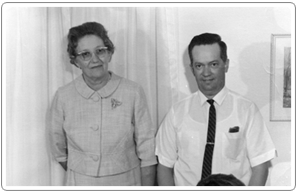 Identified by Jim Ellis, Gary Reynolds, and Charlene Lingo. 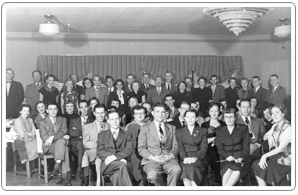 Answer: Identified as bottom row 1st person Frank Krable and 4th person over from left on front row as Madge Powell. 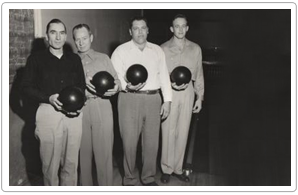 Answer:Left to Right: Floyd Pitts, Robert "Doc" Swanson, Bill Ellis? 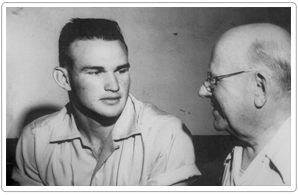 or Mr. Hudspeth? 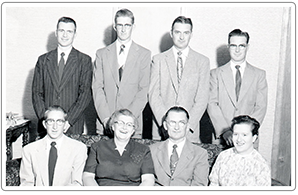 Identified by Robyn Carnett, Tom Pendergraft, and Gary Reynolds. 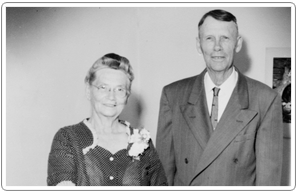 Answer:Lee Alsbury, Sheila Faye Alsbury, and Marlin Alsbury identified by Gladys Nichols. 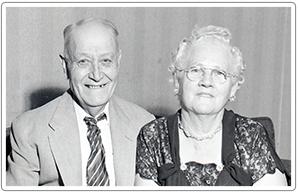 Answer:Identified by Susan Cuthbertson as Frank "Gummy" and Frances Baker, her grandparents. 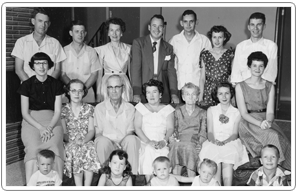 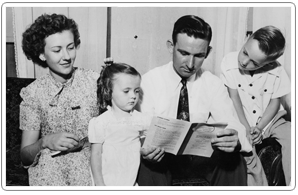 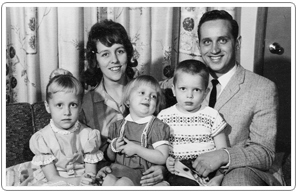 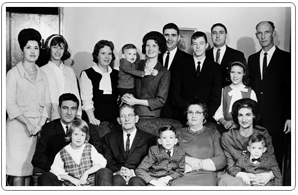 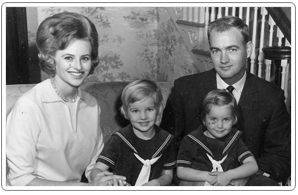 Answer:Larry and Susie (Baker) Cuthbertson and their children Ricky, Susan "Binkie", and an unknown daughter identified by Red Mathia, Carolyn Barger, and Mrs. Phillip Thompson. 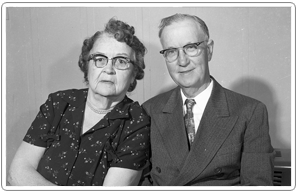 Answer:George and Mazie Winters identified by Susie Barnes and Charlene Lingo. 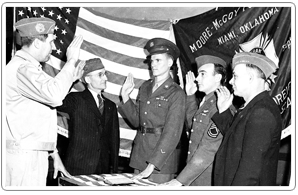 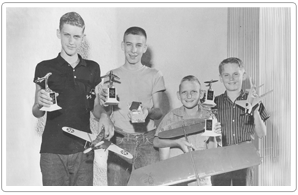 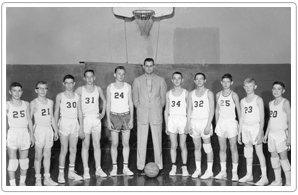 Answer:James Loren Wagner was 2nd from right identified by Jim Wagner, his father. 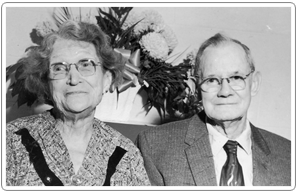 Answer:Lee and Nora Davis "Dad and Granny Lee" in their 60th Wedding Anniversary Party identified by Mr. and Mrs. Larry E. Davis and Carolyn Elliott. 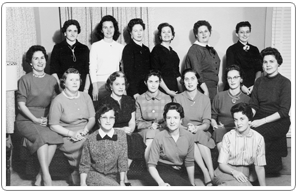 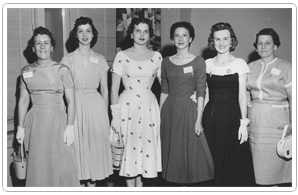 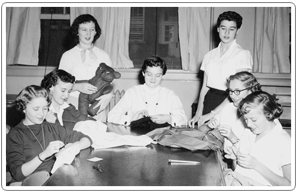 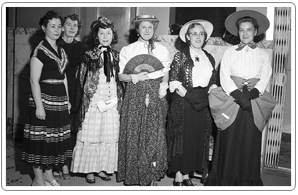 3rd Row (Left to Right): Pat Webber, Rose Baker, Beth McVay, Mae Wills, Jean Kerley, Geraldine Caywood identified by Mary Pollock and Susie Barnes. 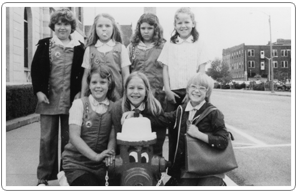 Answer:Left to Right: Joyce Green, Patricia Smith, Janice Ross, Sally McFerron, Barbara Choate, Jo Ann Scruggs, Sammy Sells identified by Charlene Lingo. 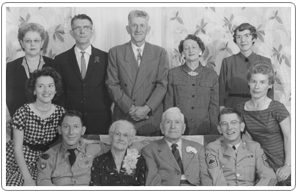 Front Row George I. Parker, unknown, George C. Parker, unknown, Bertha Parker, Deloris (Parker) Livingston, unknown. 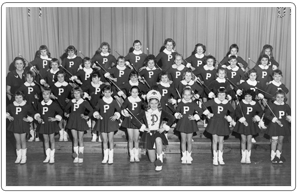 Identified by Don Parker. 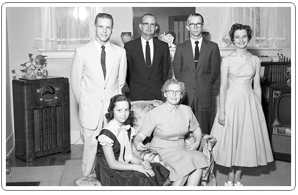 Answer:The grandchildren of Bert and Macy (White) Boyd identified by by Jack and Kathy Hayes and Frances Simmons. 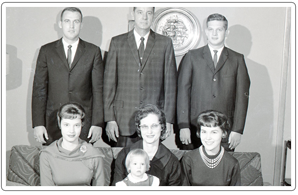 Answer:Identified by Jack and Kathy Hayes as Jim Hayes in front. 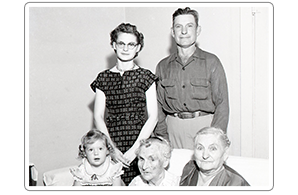 Answer: Emma Schubert holding Paula Keener Rosa Trolinger, George Trolinger, and Deanna Keener identified by Virgie Curtis, Sherry Smith, Raymond Kelly, and Lorene Sanders. 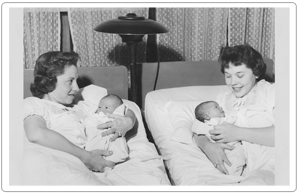 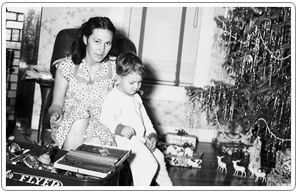 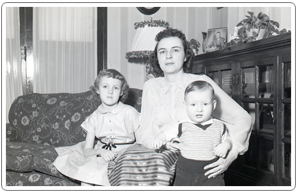 Answer: Mary Nichols Mann and her two children Barbara and Jack, Jr. identified by Jean Nichols Craig Osborn. 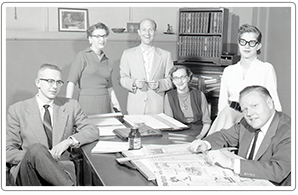 Answer: Miami News Record Employees with Charles and Jane Trussler on center of front row, Jess Heck on third row on left, Velton Gray on back row left center identified by Kitty Moseley and BG Hampton. 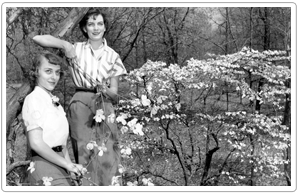 Answer: Identified by Beverly Housman Haynes and Gary Reynolds. 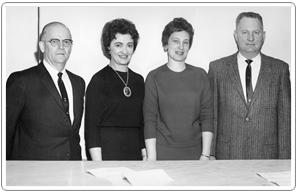 Answer: Identified as Ernestine, Nancy, Earl Dean, and Danny Wilcox. 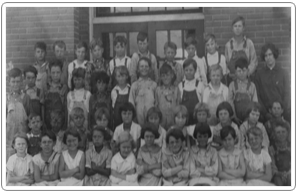 Answer: Identified as North Miami elementary school students with Ben Garvin, principal. 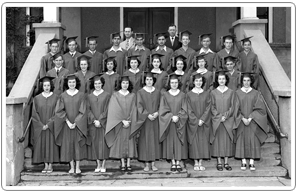 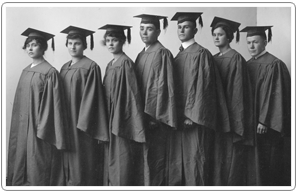 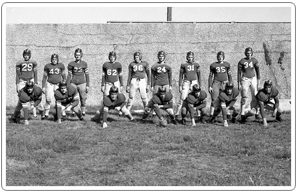 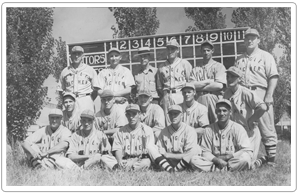 Answer: Identified as the 1915 Miami High School graduating senior class. 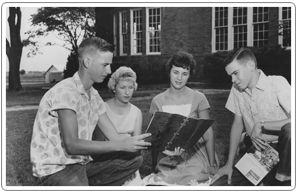 Answer: Former Welch students Dean Griffith, Deanna Huxtable, Linda Wagner and Steve Neill identified by Marilyn Horner. 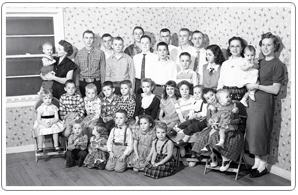 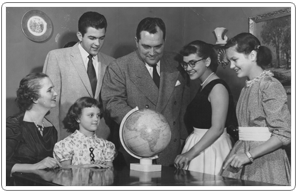 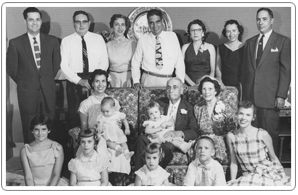 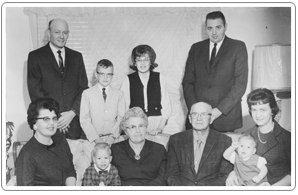 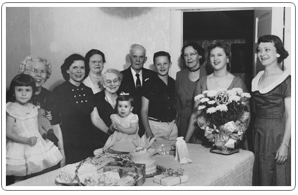 Answer: Mr. and Mrs. Gib Wright and their seven children identified by daughter Joann Panter. 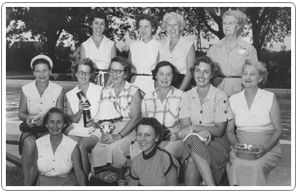 Answer: Female golfers at the Miami Golf and Country Club. 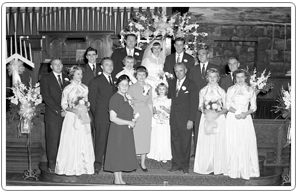 Answer: The 50th wedding anniversary of Gary Linderman's grandparents, Mr. and Mrs. Ona Patton and their nine children, identified by Gary Linderman. 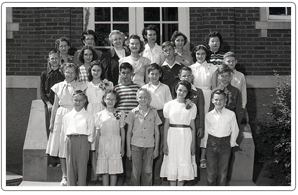 Answer: Identified as students at Hockerville School. 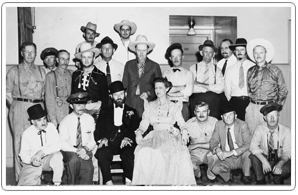 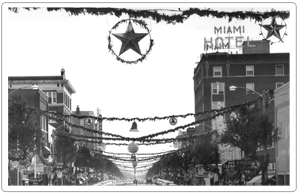 Answer: Gathering at the Hotel Miami in preparation of the Oklahoma Semi-Centennial celebration. 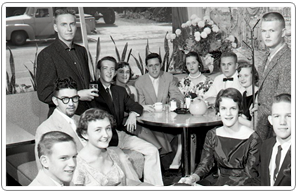 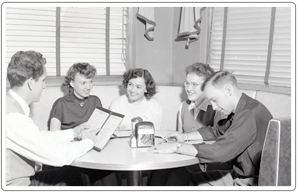 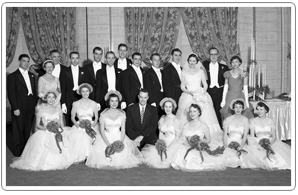 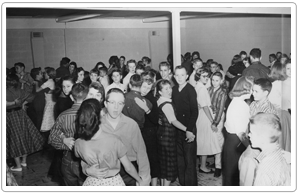 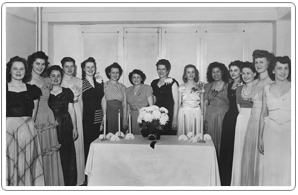 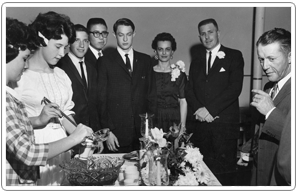 Answer: Identified as 1956 MHS seniors and juniors at the “prom” held at Gene’s Tarry-A-While. 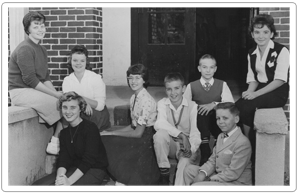 Answer: Identified by Carolyn Ritchey as teachers Mrs. Adda Hall and Miss Mae Lohman and Miami High School students Colleen Cook, Calvin Kidwell, Yvonne Kidwell and Richard Hall. 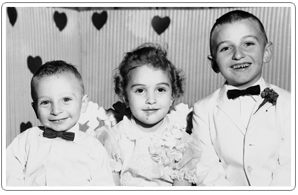 Answer: Donna, Donnie and Dana Durburow identified by Jamie Johnston. 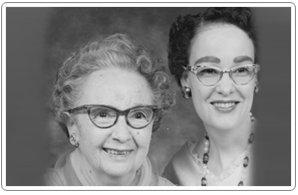 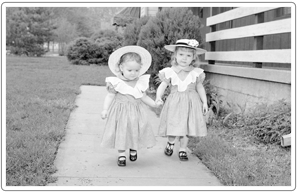 Answer: Roma Dahl and Lois Cowles identified by Sue Barnes. 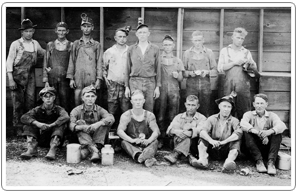 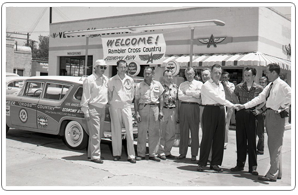 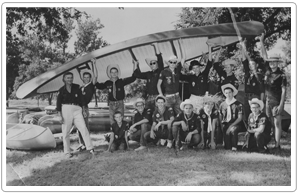 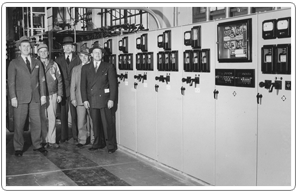 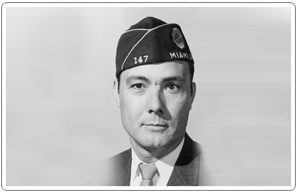 Answer: Identified as the City of Miami utility maintenance plant and featured Charles C. Chesnut and city employees. 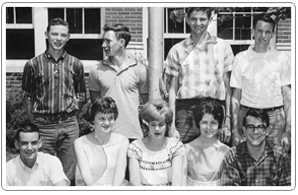 Answer: 1960 Commerce High School junior class officers that includes Ron Patterson, DeWayne Hollon, Joy Stanley, Lana Corbus, and Delbert Garrett identified by Ron Patterson. 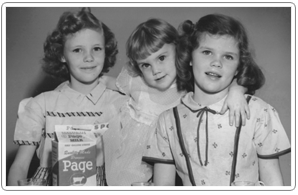 Answer: Patty Osborne and Margaret Price identified by Kathy Bowling. 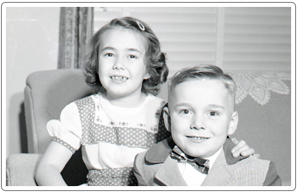 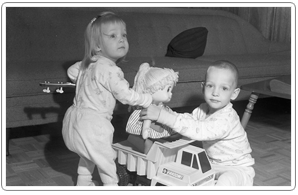 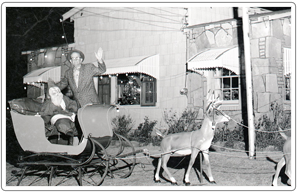 Answer: Identified by Norma Garwood as her children Terri and Rob Garwood taken on Christmas of 1964. 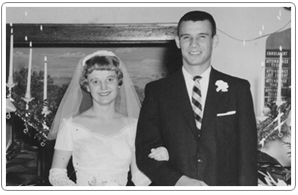 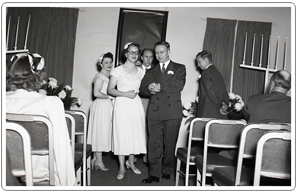 Answer: Bill Froman and Shirley Mashburn's wedding identified by Yvonne Ketcher. 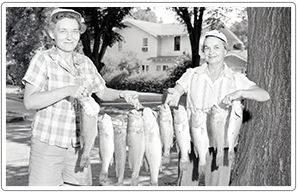 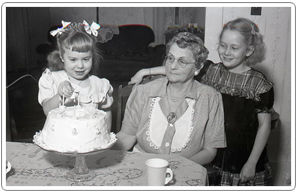 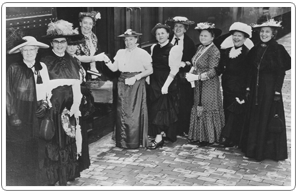 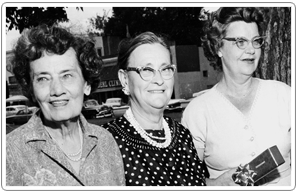 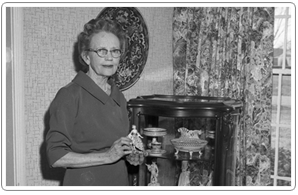 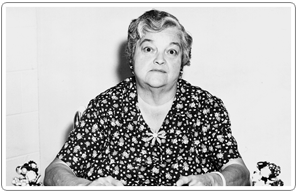 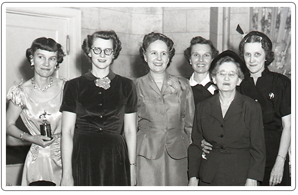 Answer:Bessie Belle Wagner, Margie Matlock, Betty Dembinski and Lucille Meredith identified by Peggy Schnakenburg. 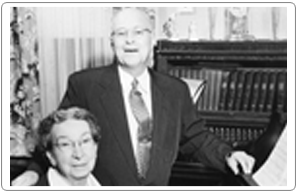 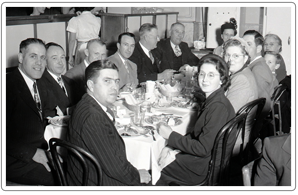 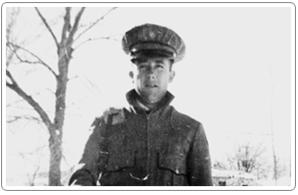 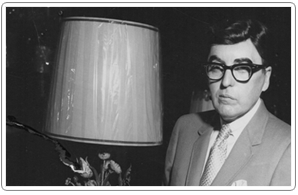 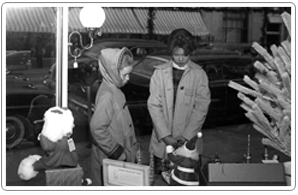 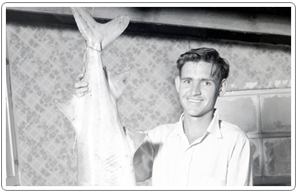 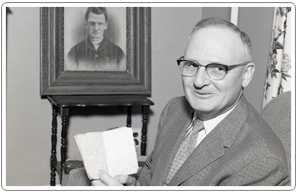 Answer: Bill Y. James, long-time merchant and owner of James and James identified by Barbara Becker & Jane Osborn. 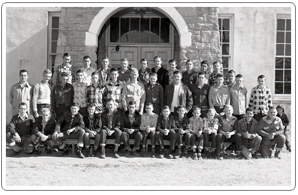 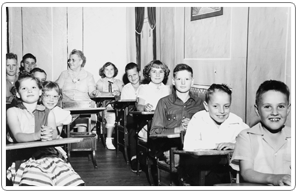 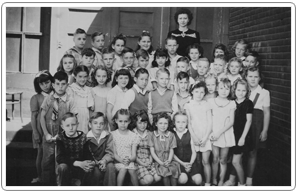 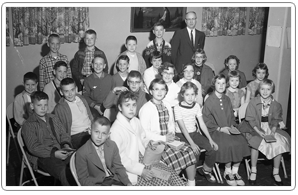 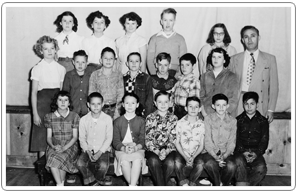 Answer: 1956 third grade class at Commerce Central Elementary identified by Tom Ross. 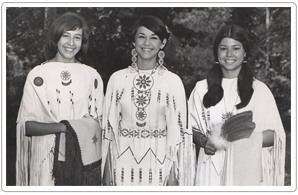 Answer: Seneca Indian School employees Sara Poe, Barbara Kyser-Collier, Arliss Secondine, Laura Downum and Dorma Hollis identified by Sheryl Laue, Barbara Kyser-Collier and Luann Buffalo. 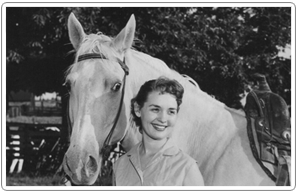 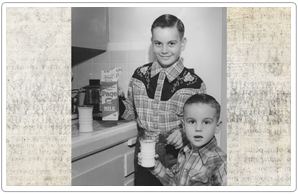 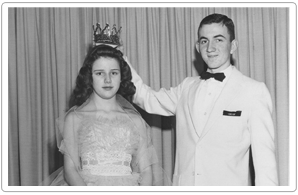 Answer: Norma Sue Davis, 1956 Oklahoma State Dairy Princess and her horse Fellas identified by Larry and Judy Davis. 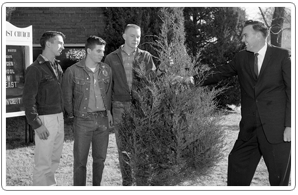 Answer: Rev. 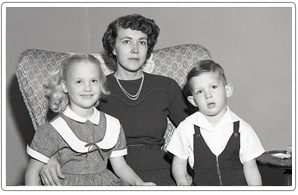 and Mrs. Lewis Maples and children Bob, Margaret, Barbara and Sarah identified by Yvonne Ketcher. 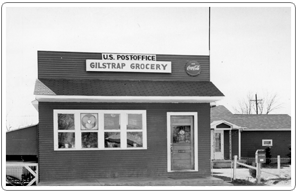 Answer: Gilstrap Grocery and USPS in North Miami, where Jack & Louise Gilstrap served as postmaster. 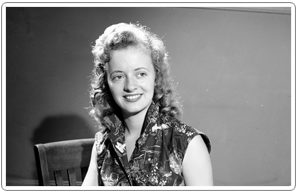 Identified by B. G. Hampton, Jane Grant Watts, & David Sharp. 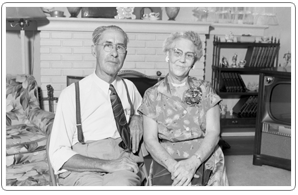 Answer: Bill and Fountie Michael of Cardin at the home of Burl Lane, their nephew, who had Lane Oil Company at the stateline in Picher. 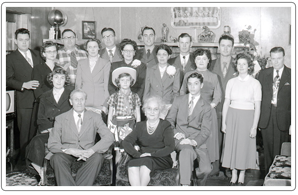 Identified by their great-grandson, Claude Best. 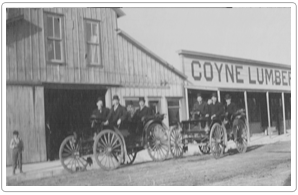 Answer: Coyne Lumber, an early Miami business located on East Central. 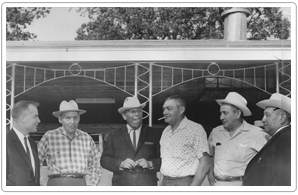 Men in the cars: Ern Shriver, Pete McCollagh, Elmer Bigham, Walt Williams, Ben Standifer, Ed Milner. 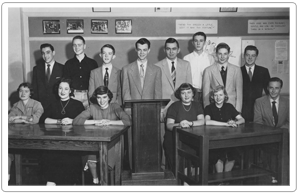 Answer:Early 1950’s Miami High School speech team. 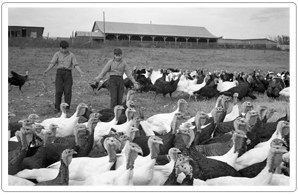 Answer:Two former Seneca Indian School students with a flock of turkeys. 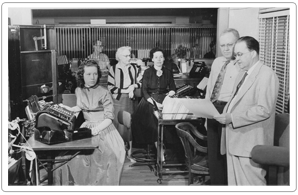 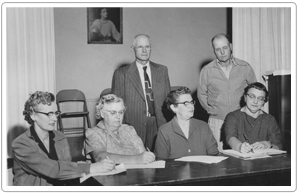 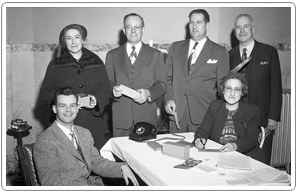 Answer:Albert Brewer, Ralph Chambers, Lucille Jennings, Lena Chambers, and Barbara Spencer at the First State Bank, Picher. 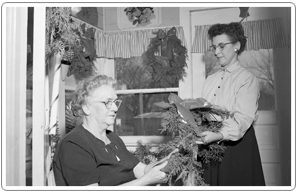 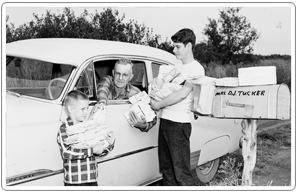 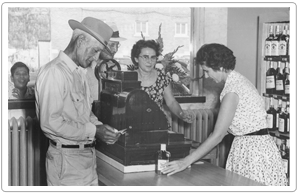 Answer: First legal purchase of liquor in Ottawa County on 09/01/1959 by Ilus Spicer at Avie’s Package Beverage from Ava Nell Williams, proprietor and clerk Mary Gaines. 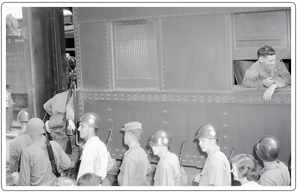 Peering thru the window was Fred “Butch” Cata. 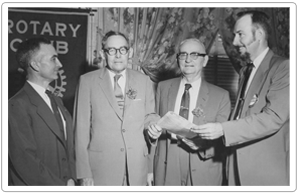 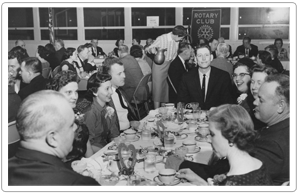 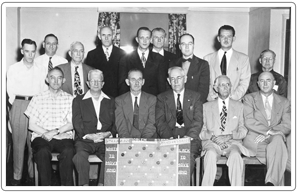 Answer: Miami Rotarians Woodrow Painter, George Cunningham, G. W. Sapp, and Fred Kelton. 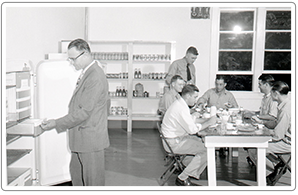 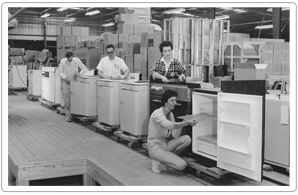 Answer: Employees of the Crane Company assembly line in Miami, 1961. 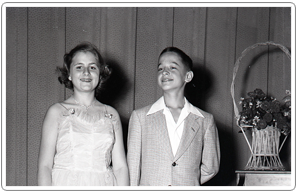 Answer: Patricia Dowell and Lonnie Sutton at Windham’s Rollerina. 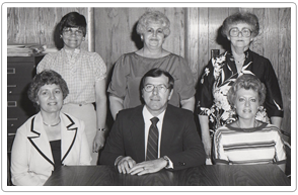 Answer: Former Ottawa County Clerk John Lemaster and staff members Carol Randall, Lana Waybright, Carol Eddings, Brosia Bullard, and Billie Potts. 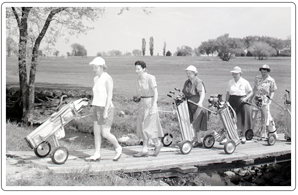 Answer: Left to Right) 1- ? 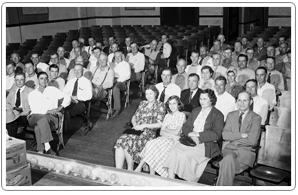 2- ? 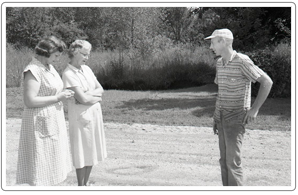 3- ? 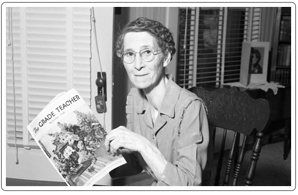 4- Mrs. Lloyd Schubert 5- ? 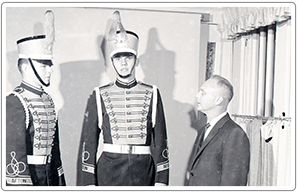 6- ? 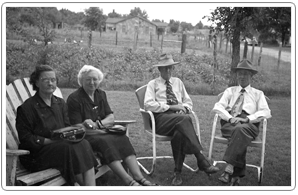 7- Mildred Adams 8- Lloyd Schubert 9- Edith McNaughton 10- ? 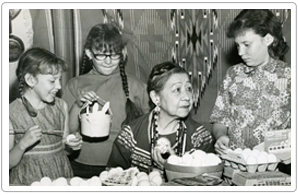 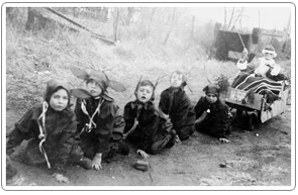 Answer: Mary Redeagle and a group of girls taken on Easter 1966.